Dimensions: 1/4"od x (1/10" x 1/21") x 1/4"
We had these clasps made especially for use as magnetic clasps for jewelry. The rings are sold in pairs because there are two different magnetization directions on the rings to allow them to work as clasps. One of the magnets in the pair has the north pole on the counersunk hole side and the other has the south pole on that side. 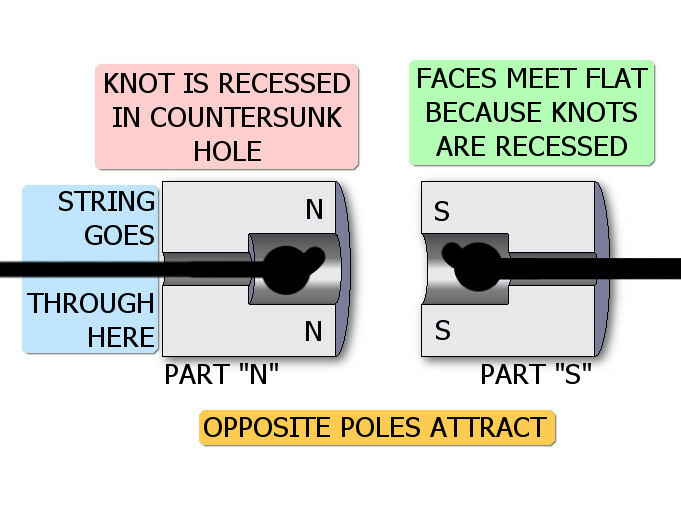 This allows the two faces to meet flat, as the knot on the string sits inside the countersunk hole in the ring. The clasps are gold plated for a shiny, gold finish. 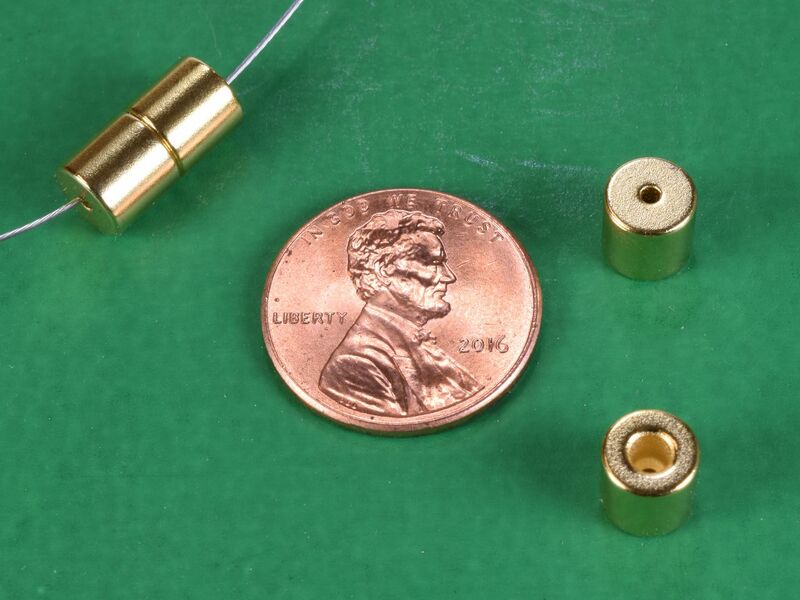 Great for making new jewelry or replacing difficult clasps on existing jewelry. The small hole is 1/21" and the large hole is 1/10".